The world's leading laboratory micromotor just got better. The ULTIMATE range has evolved to run even smoother and be more powerful. With 180° vector control system, it assures you to work more efficiently and stress-free. The handpiece shape has been designed extremely carefully with ergonomy and functionality always being at the forefront of the designer's mind. The result is a handpiece which considerably reduces hand fatigue and makes it easier to work on even the most delicate pieces of work for extended periods of time. Experience the next-generation performance the ULTIMATE XL has to offer. 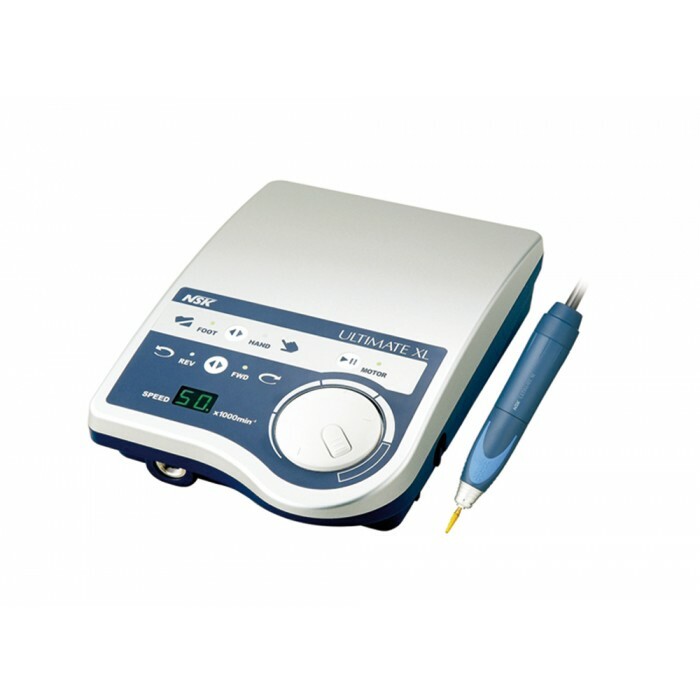 Click the button below to add the NSK ULTIMATE XL-GT Lab Micromotor Set to your wish list.